Sussex captain Ben Brown insists their season will be judged a success, even if it ends in disappointment. There wasn’t much he could do to affect events at Edgbaston but he will be back in the thick of the action tomorrow (Tuesday 18 September) when Sussex face Warwickshire in the first of two must-win Specsavers County Championship games. Sussex have won five of their past seven matches in Division Two but it’s the damaging defeats to Middlesex and Durham during that sequence which have left them third in the table behind Warwickshire and Kent and playing catch-up. Brown said: “Whatever happens now, I think there has been huge progress this season. “We were outplayed last week at Durham and I know people were disappointed, particularly with our batting, but it’s important to remember that we have a young top order who are still learning their trade. Luke Wright is likely to return to the starting XI having been rested at Durham last week. He will probably replace Michael Burgess. 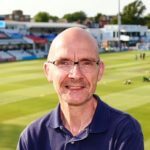 The good news for Sussex is that they are unbeaten in the Championship at Hove this season and the Bears have won only once there since 2002. Follow Bruce Talbot on Twitter @BruceTalbot1.